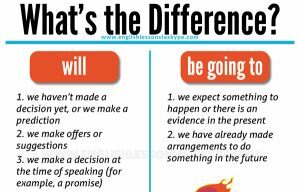 In this post you will learn everything you need to know about comparatives and superlatives in English. It also includes 2 video lessons. 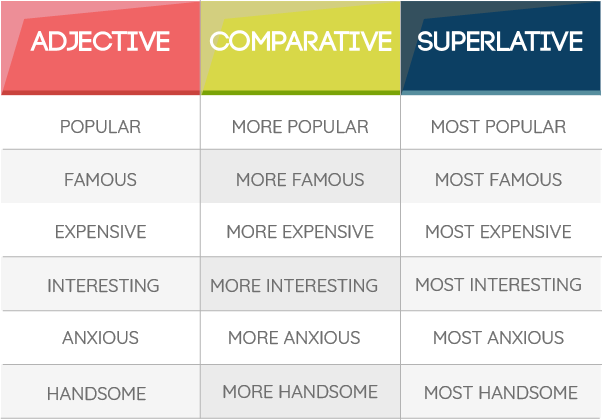 Comparative and superlative adjectives are used to compare people and things. Comparative adjectives are used to compare two things. 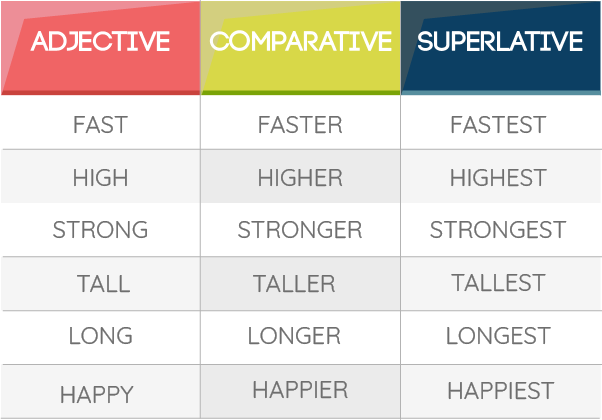 We use superlative adjectives in English when we compare three or more things. There are two basic ways of forming comparatives and superlatives in English. 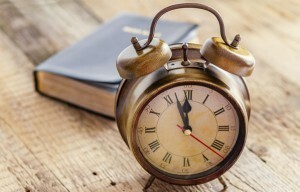 In general one-syllable words and some two-syllable words (those ending in consonant + –y and a few others: easier, happiest, narrower, cleverest) take -er, -est endings. Most long adjectives (most two syllables and three syllables) add more, most before the adjective. The Olympic motto is “faster, higher, stronger”. TV viewers can watch the excitement of downhill skiing, bobsleigh, speed skating and ski jump. Who will be the fastest skier on the slopes? Which country has the strongest ice hockey team? Which team will win the most gold medals and top the medal table? The French competitor’s ski jump was long. However the Italian athlete’s distance was longer. The German’s jump was the longest and he won the gold medal. The Russian ice hockey team is strong and they stand a good chance of a medal. The USA team is stronger. They beat the Canadians in a recent competition. The Canadian team is the strongest and they should win the gold medal. The Austrian skier is fast. The French skier is faster and should win the silver medal this time. The Swiss skier is the fastest by 5 seconds. He is expected to win an Olympic gold medal. The fastest speed recorded on a bobsleigh track is 125 miles per hour. Germany have a strong bobsleigh team, but experts agree that the United States team is stronger, so they should win the gold medal. Amy Williams won skeleton gold in Vancouver for Britain with a time of 3 minutes 35 seconds. She was the fastest woman in the competition. Who will be the fastest female skier on the slopes? The American skier is quick, but the Austrian competitor is even quicker. She’ll be favourite to win a gold medal. Which athlete will jump furthest in the ski jump? The longest jump was made by a skier from Norway, who broke the world record. The Austrian ski jumper is just 17. She is the youngest athlete in the competition. ex. 1 mile is longer than 1 kilometer. ex. It is very cold today. ex. He seems much better today. It is slightly warmer outside. ex. She’s by the far the most beautiful woman I’ve ever seen. ex. The weather is not getting any warmer.